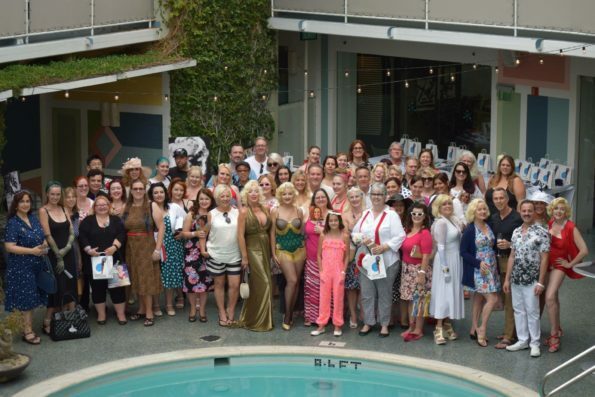 The Marilyn Remembered Fan Club hosted several events during 2017 Marilyn Monroe Memorial Week to commemorate the fifty-fifth anniversary of her passing. Marilyn Remembered’s sister club, Immortal Marilyn, also held events and activities in the week leading up to the memorial service. 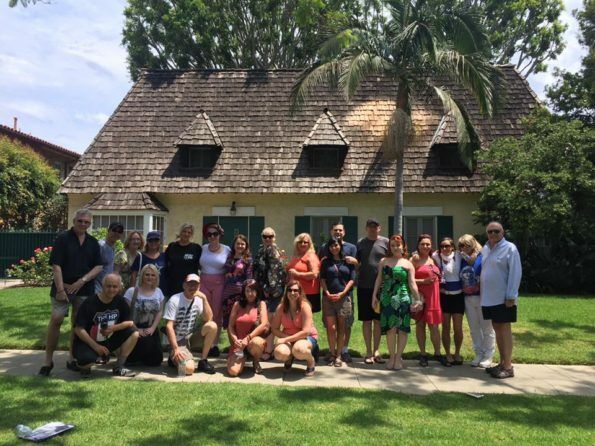 In conjunction with the Immortal Marilyn Fan Club, Marilyn Remembered hosted a guided tour of Los Angeles and Hollywood, lead by Elisa Jordan of LA Woman Tours. Sites included the orphanage where Marilyn dreamed of becoming a star, the former beauty salon where she first became a blonde, the restaurant where she met Yankee Slugger Joe DiMaggio on a blind date, and the house (well, the gate anyway) where she passed into eternity, just to name a few. Immortal Marilyn held a party at the Avalon Hotel. 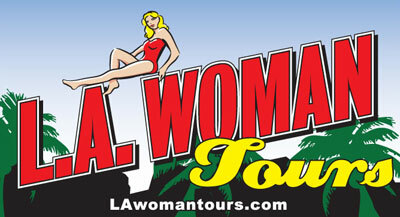 A second tour for fans unable to make the August 1 excursion. 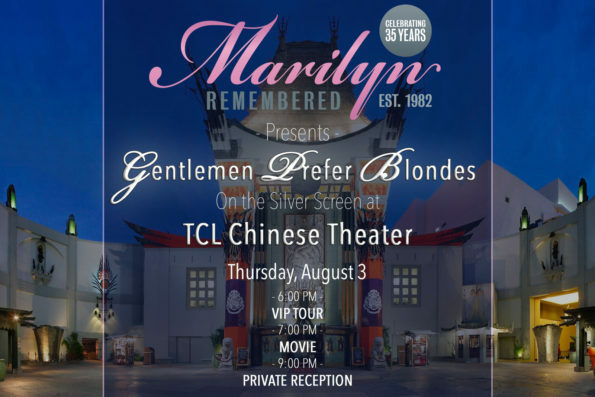 Marilyn Remembered presented Gentlemen Prefer Blondes at TCL (Grauman’s) Chinese Theater, together with an exhibit of Marilyn Monroe worn costumes. 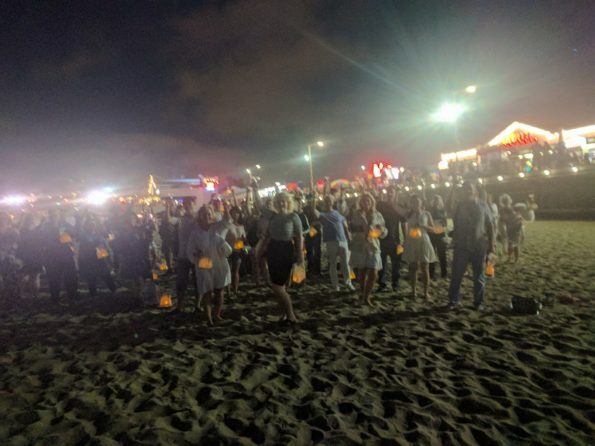 Immortal Marilyn arranged a dinner and then a sunset toast on the beach in Santa Monica. 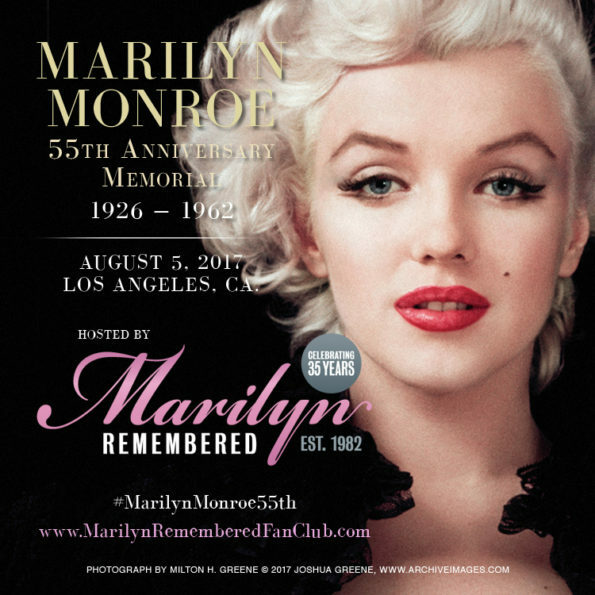 The 2017 Marilyn Monroe Memorial Service was held on Saturday, August 5 in the Pierce Brothers Westwood Village Memorial Park Chapel. The memorial was live streamed in our Facebook group. and also on our Instagram page. We hope you tuned in if you couldn’t make it in person. For memorial service details and photos, click here. 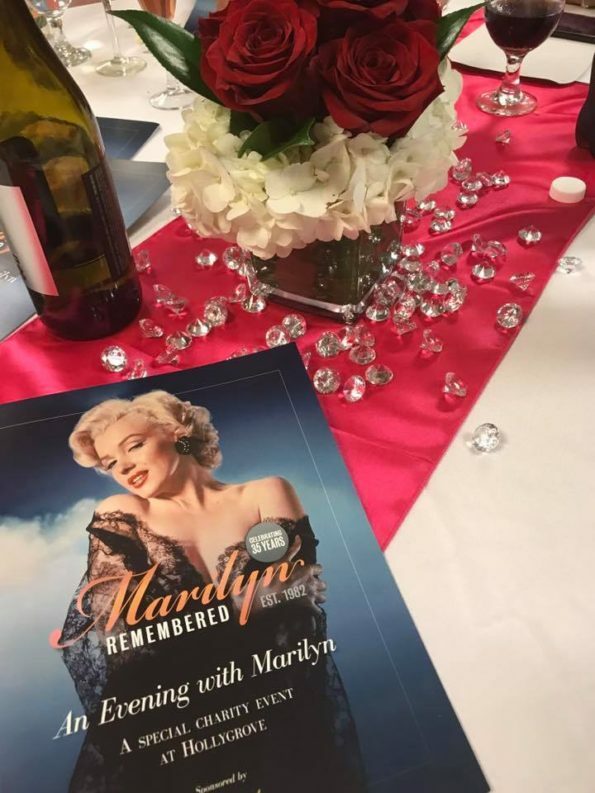 “AN EVENING WITH MARILYN” RAISED OVER $8,000.00 FOR HOLLYGROVE’S AFTER SCHOOL PROGRAMS! This charity gala included a catered dinner, raffle prizes, and an exhibit of Marilyn Monroe memorabilia with original photos of Marilyn, her personal effects, and film worn costumes.Attendees were able to look through the second floor window and see the same water tower at the former RKO Studios (now Paramount Pictures) that a young Norma Jeane gazed at while dreaming of becoming a movie star. All proceeds will benefit Hollygrove – Uplift Family Services. Hollygrove is the Los Angeles division of Uplift Family Services, a nonprofit agency that provides a variety of programs and services to meet the social-emotional, behavioral and mental health needs of young children, teens and their families. Hollygrove serves children and their family members in the communities of Hollywood and South Central Los Angeles. Since 1880, when it was founded as the Los Angeles Orphans Home Society, Hollygrove has cared for more than 20,000 children. It was once home to young Norma Jeane Baker, later known as Marilyn Monroe. For event photos and information, click here. Special thanks to our premiere sponsor, Julien’s Auctions. 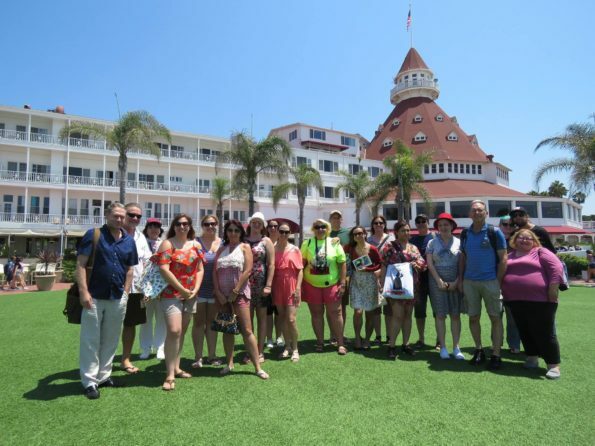 Jim from Marilyn Remembered hosted a trip to the Hotel del Coronado in San Diego. 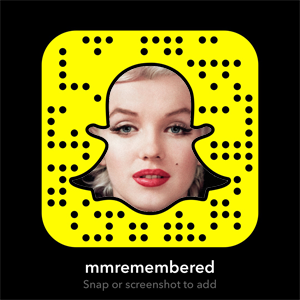 For details on future Marilyn Remembered memorial events, join the club and sign up for our newsletter here.